At Advanced Dental Care, we're committed to the health and wellbeing of every patient. 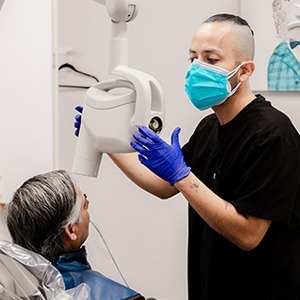 Our focus being on preventive dental health, we hope to do more than just keep your teeth and gums clean; we want to help you enjoy better overall health too. What’s more, we use minimally invasive, state-of-the-art tools and procedures for your comfort and convenience. When you come to our Costa Mesa office for an appointment, you’ll experience compassionate, personalized service that targets your specific needs while taking your budget into consideration. 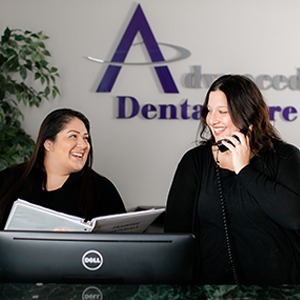 Work, errands, family commitments – we all have busy schedules that make time to take care of yourself a valuable thing, and the Advanced Dental Care team never takes yours for granted. Your scheduled appointment is reserved for you and you alone, and as comfortable as our waiting room is, you can expect to never spend more than a couple of minutes there when you arrive! Our Costa Mesa practice is proudly in-network with most major PPO dental insurance plans! Our experienced team can streamline the process of accessing benefits so that patients don’t even have to lift a finger, making the financial aspects of important dental care genuinely stress-free. Plus, we also have excellent payment options for patients and families without current insurance coverage, such as an in-house savings plan and reduced fees for cash-only patients. 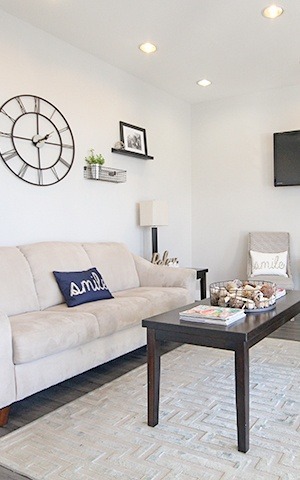 Stepping foot inside the dentist’s office shouldn’t have to be a dreaded experience – we want you to feel just like you're stepping into a friend’s home instead! From cozy décor throughout the waiting room to plenty of friendly faces ready to greet you, we want each patient to feel relaxed throughout their visits. Soothing sedation dentistry is also available for those who experience anxiety or fear when faced with an upcoming procedure. With three dentists on-staff (including a Board-Certified periodontist), we take pride in offering a comprehensive range of services so that our patients are able to stay with one trusted dental team over the years instead of having to travel to separate different specialists. Are you ready to replace missing teeth with state-of-the-art dental implants? Do you want to explore the dazzling possibilities of a cosmetic transformation? Has it been more than six months since your last dental checkup? We can help with all of these needs and so many more! Advanced Dental Care is located near the intersection of the San Diego Freeway and Bristol Street. We’re proud to be conveniently placed near the 405, 55, and 73 freeways for patients and families from all over Costa Mesa, as well as other nearby communities! Not sure how to get here? Don’t hesitate to contact us directly – one of our team members will be happy to provide detailed directions so that your drive can be a breeze. Having to miss work or pull the kids out of school for a dental appointment can be very disruptive, which is why Advanced Dental Care offers much-needed flexibility to busy individuals and families! We’re open as early as 8:00am Wednesdays and as late at 7:00pm on multiple weeknights, and Saturday appointments are even available – just contact us today to reserve your ideal time. 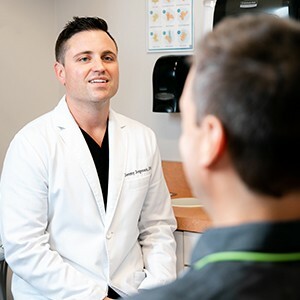 If you’re looking for gentle and compassionate care for your entire family, call our Costa Mesa office to reserve an appointment with Dr. Jorgenson. 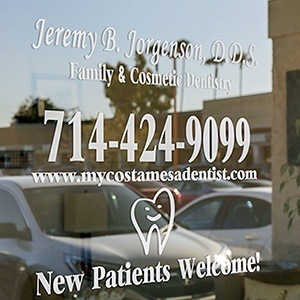 We are happy to serve patients from Costa Mesa, Irvine, Newport Beach, Huntington Beach, and beyond.